Home / Thank You For Subscribing To The Beginner Guide! Thank You For Subscribing To The Beginner Guide! Our emails come from Logic Studio Training <[email protected]> so create a rule or do what you can to make sure our tutorials get to your inbox. 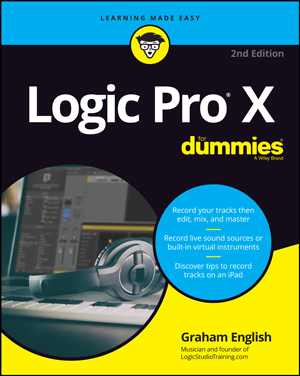 Are you new to Logic Pro? Start with our Logic Pro Beginner Guide. It’s a sequential video introduction to Logic Pro. Once you’ve completed watching the Beginner Guide, you’ll be able to record and make music with Logic Pro and start learning some more advanced magic. If you want to find something specific, browse The Complete Logic Pro. We’re constantly updating it with new tutorials. Use it like you would use Wikipedia. You on Facebook? Twitter? YouTube? What else can we say? Thanks for subscribing and we look forward to giving you the ultimate Logic Pro chops!